Rated 92 by Cigar Insider and Cigar Aficionado, this classic torpedo size is a masterpiece in both visual appeal and flavor. This exceptionally rich and flavorful premium Dominican cigar is worthy of some valuable real estate in your beloved humidor. Packaged in a box of 25. Nice cigar to enjoy sitting on the patio in the evening with a few friends while playing cards, flavorful but with a lot of different nuances of flavor coming thru.. If your into full flavored full bodied torpedos here’s one you don’t want to miss out on. Beautiful construction and a even burn down to the last draw. Amazing piece of work!! So grab a one or however many you desire but you have got to atleast give this stick a try. You won’t be disappointed!!! 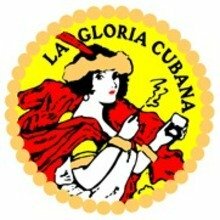 The La Gloria Cubana is a pretty good cigar. I prefer it after dinner because it has pretty rich flavor. Burn was spot on. Very good construction and pull. Robust yet not overly strong. Great notes of oak an spice. These will find a spot in my humidor. The torpedo No.1 starts with a slight spice, but after the first inch or so an earthiness and leather come forward, as well as some cedar. The burn needed a little touch up, but not bad, the draw was perfect. I know Gloria has a huge following and granted they always look real nice, are well crafted and burn well... but I have never cared for the taste. There is such a thing as "earthy" and then there is something like "damp earth" which does nothing for me. 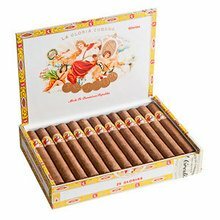 Add to that a rather loose roll- which allows a great draw but doesn't feel quite right and I can get a lot more cigar for the money, 'cause this is not a "cheap" cigar. Decent torpedo. I mostly find myself giving these to buddies but will enjoy one when time is short and I don't mind only smoking half. I absolutely love torpedoes. Probably my favorite size cigar. I wasn't a huge fan but ill try another in the future to make my final desicion.